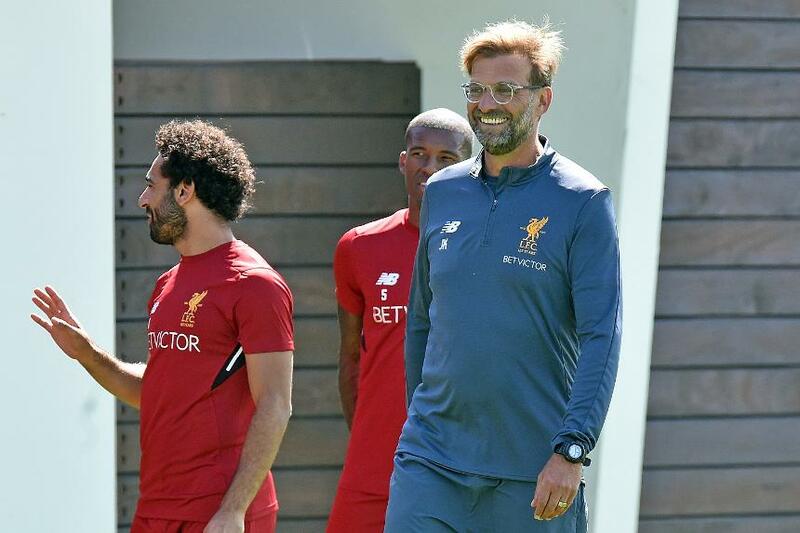 Jurgen Klopp will be trying out a new tactical approach in the Premier League Asia Trophy but the Liverpool manager will not be revealing all the strategies in Hong Kong. Liverpool first play Crystal Palace on Wednesday, exactly a month before the two sides meet again in the Premier League at Anfield. “If I would be poker player, I would say maybe we should not show all our cards,” he says. "But It’s the same probably for Crystal Palace with their new manager with Frank de Boer. “It’s not about hiding things; we cannot hide anything anymore so it’s about playing. You have to use these games like the most intense training session you could ever plan, because that’s what we want." One player who could be key to the new-look Liverpool is Mohamed Salah, who, along with Dominic Solanke, has impressed Klopp since joining the club this summer. “He played in Italy which is a very difficult league for an offensive player because of defensive tactics,” Klopp says of Salah.